+ Preserving Lincoln Park's unique features and character. 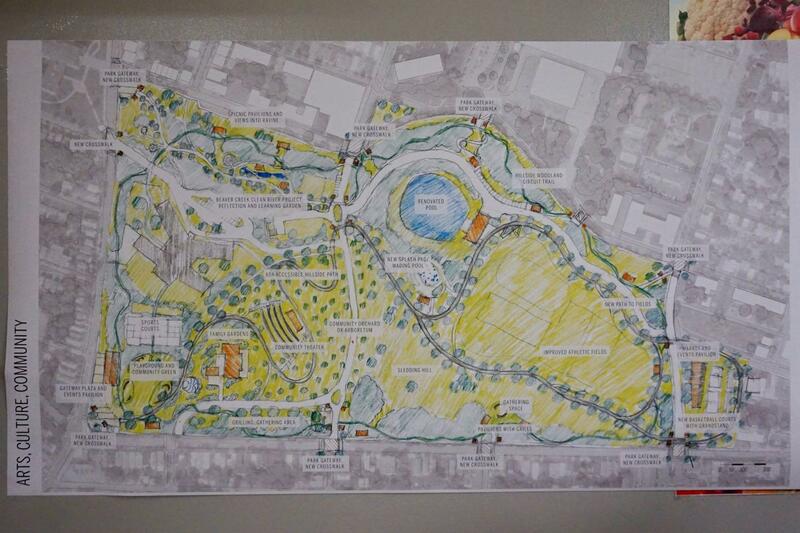 + Revitalizing the park and bringing activity to under-used areas of it. + Connecting Lincoln Park to nearby neighborhoods and institutions, and making it easier to access. + Celebrating the history and cultural identity of the park, and providing places for people to gather. 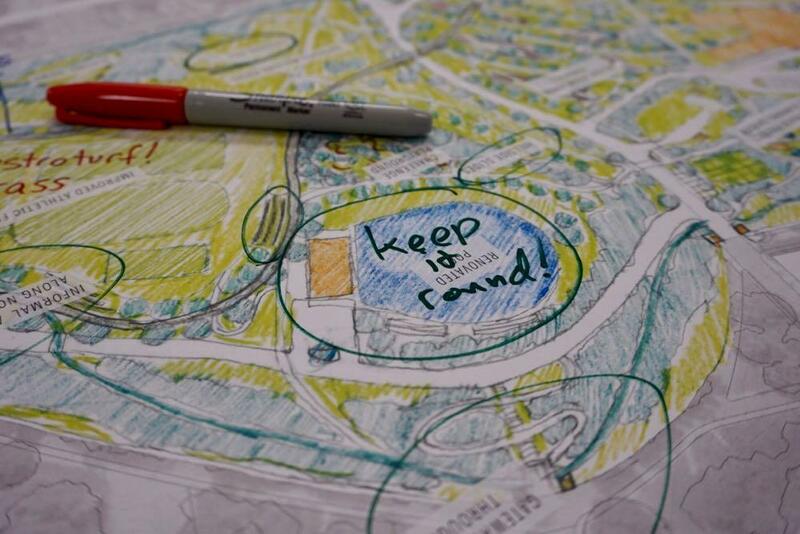 And from those principles, the team developed three general concepts for the park. As Stimon's Glen Valentine told the crowd, the ideas in the concepts are arranged around the park, but not they're not specific plans. Instead, he said people should look at them as bundles of options from which they can pick and and choose. There are larger versions of the concept maps at the top in large format -- click or scroll all the way up. + Improved athletic fields in the park's bowl. The Stimson team even floated the idea of converting some of the fields to artificial turf so they hold up better. + Expanded basketball facilities with bleachers and an event pavilion on the east side of the park. + A playground with giant slides to make use of some of the hillside in the center of the park. + A terraced play area and additional playgrounds. + An amphitheater on the slope in the middle of the park with an orchard or flowering trees. + A new splash pad that would sit outside the renovated pool's fenced-in area. + A big circular lawn in the southwest corner of the park. + A distinctive, informal garden that could involve lilacs or other flowering plants. 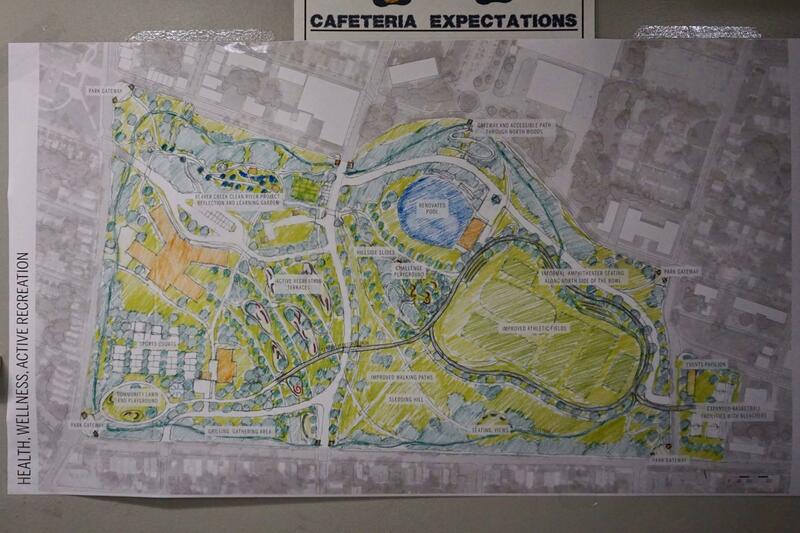 + A basketball pavilion and improved athletic fields. + A trail system around the park. + Meadows with native plants. + A "natural adventure" playground that would be built with boulders, logs, and bent branches forming tunnels. + A bioswale along the south side of the athletic fields to handle runoff and help form a stream valley landscape across the park. 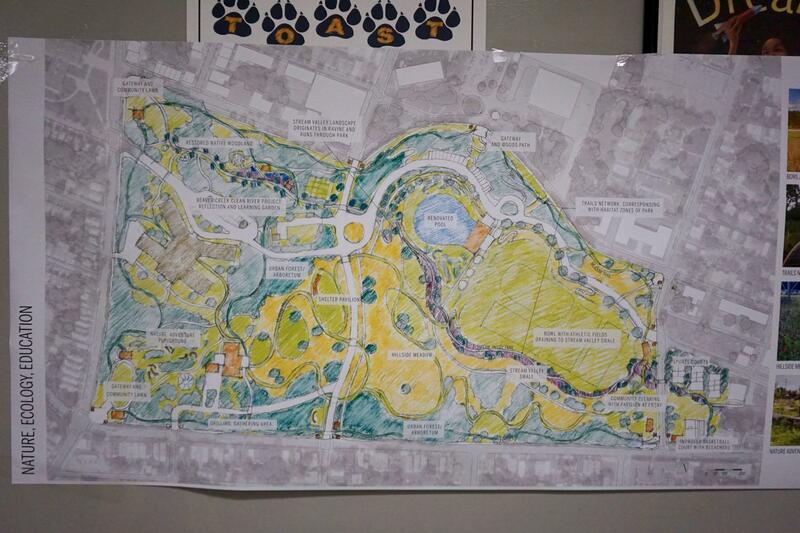 Stimson's Glen Valentine added that the team also envisions a handful of general improvements for the park that would be common to any concept or plan, including: better lighting, more seating and picnic areas, more public restrooms, attention to traffic safety on Martin Luther King and Eagle and adjacent streets, and paving and refurbishment of the various streets and courts in the park. All the concepts also include a renovation of the Lincoln Park pool, the current version of which is probably near the end of its life. (Kathy Sheehan said at the previous meeting that the city is committed to the pool.) The Stimson team said the crowds at the public meetings so far have overwhelmingly preferred keeping the pool's current circular shape. 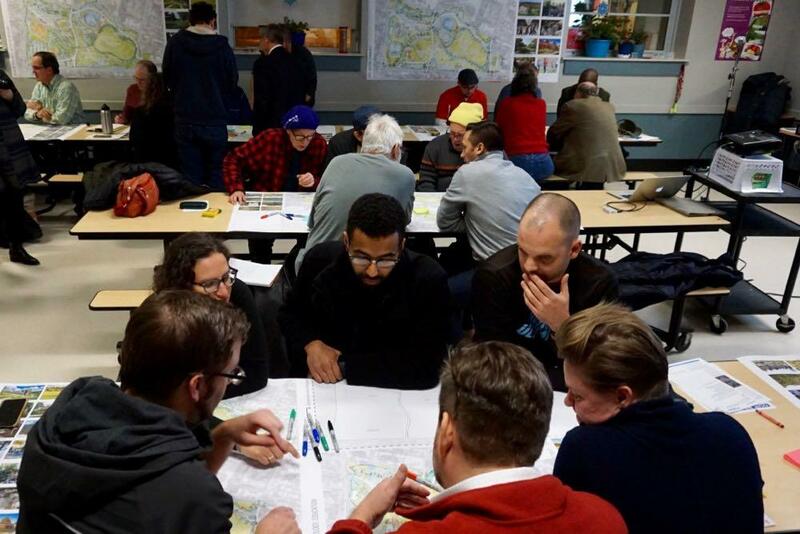 Another common aspect of the plans: More connections and paths to the surrounding neighborhoods, including a reconfiguration of the park's southwest corner at Delaware and Morton to create a new gateway. And each concept also includes the Beaver Creek Clean River sewer facility and the park elements planned to go along with it. 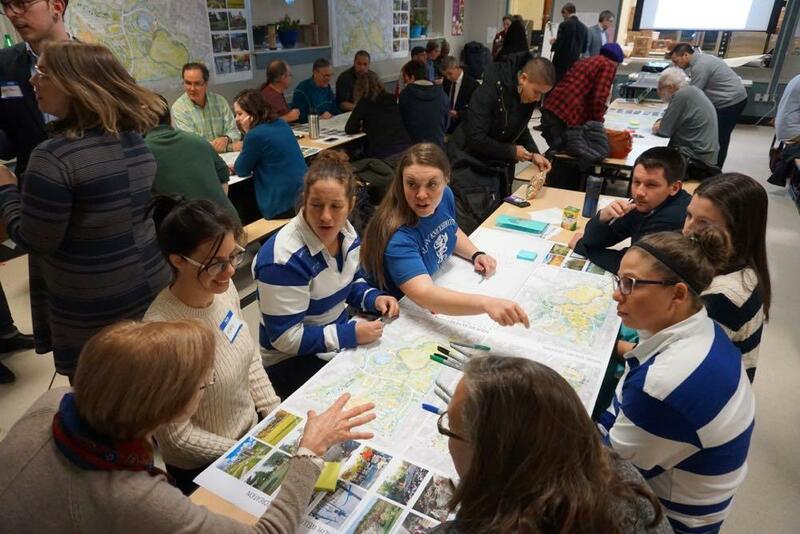 Multiple groups said they liked the idea of a trail that would run around the park, and one group mentioned that maybe there could a way for it to accommodate bikes. Another popular idea was expanding and upgrading the basketball courts on the east side of the park. People seemed to like the idea of being able to host tournaments and events there. And there was a suggestion to create a court memorializing Elijah Cancer. The amphitheater was another popular idea. 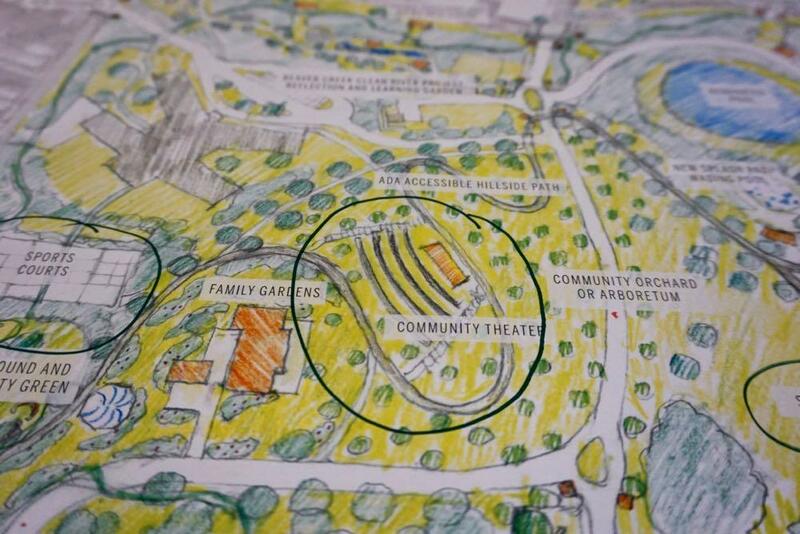 One person suggested making it bigger than the one used by Park Playhouse in Lincoln Park. The possibility of maybe converting some of the athletic fields to artificial turf did not seem to go over well, with multiple groups saying they didn't like it. But the idea did get some support from a table that included members of a rugby team. People seemed to think the idea of the giant slide playground was fun. 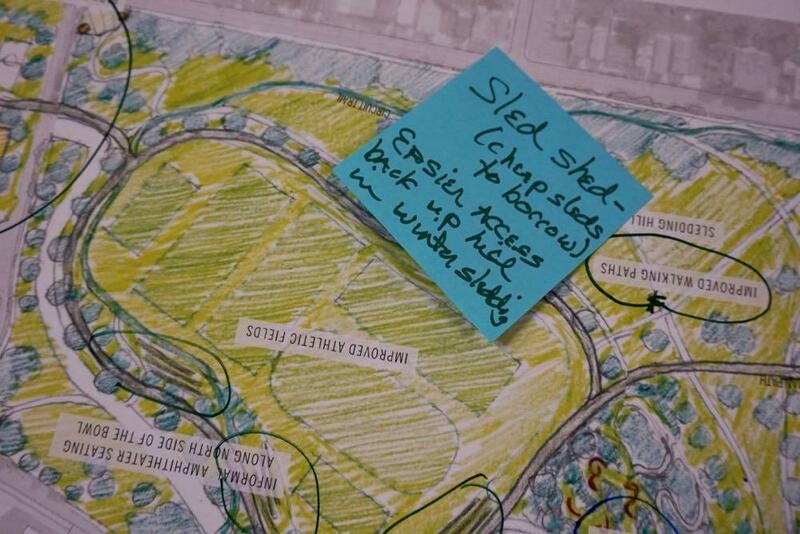 One group suggested a "sled shed" that could store and distribute low-cost sleds during the winter to use on the park's hills. Again, that's not a comprehensive list of everything people suggested. But like last time around, there weren't really any calls for unicorns or other totally out-there ideas. A lot of the suggestions sound very possible, especially over many years. 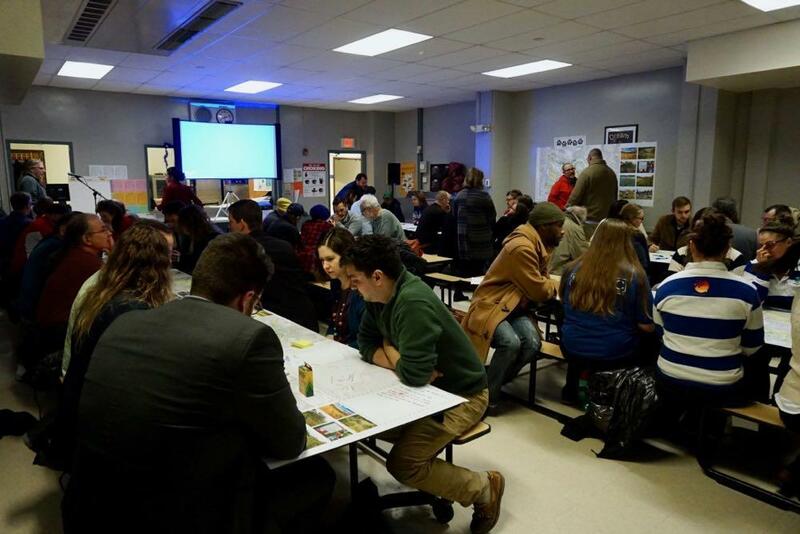 The Stimson team will be folding the feedback from this meeting into a draft master plan for Lincoln Park over the next month. And there's a public meeting scheduled for January 15 to present that draft plan to the public and get feedback. If you head over to the project website, you can sign up for an email list with updates and reminders. 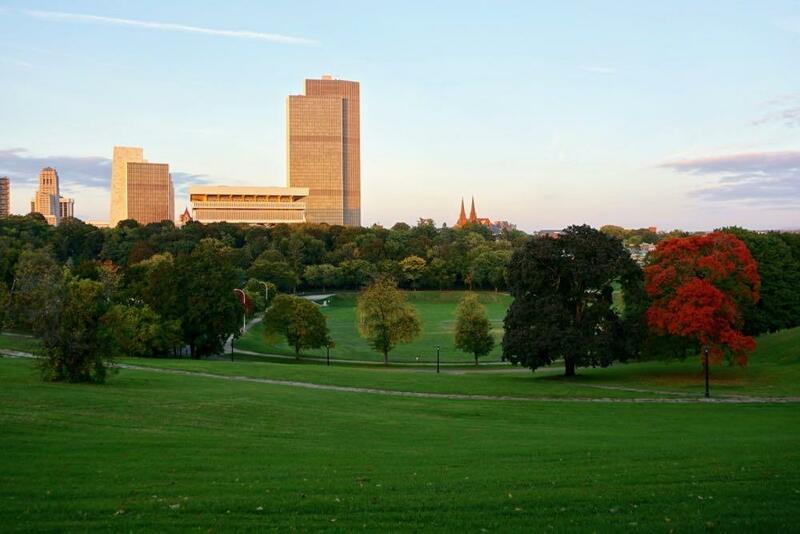 An observatory, aquarium, performance center, Joe's deli, Golden Fox, Panetta's, 2 would be great restaurants to bring back to Albany & put near the park! Glen Valentine - Class of '85 - Albany High School. Hi Capgirl ,was Wegman's a former favorite Albany restaurant, no sorry i was just wishful thinking.